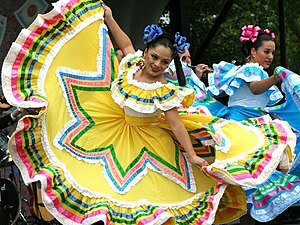 Cinco de Mayo is (in part) a daythat celebrates freedom. As a writer, fight for freedom from cliches, stagnation, and writer block! Just as the Mexicans turned back an invading force, you can fight against these enemies of writers everywhere and everywhen. Brainstorm: Avoid cliches by listing multiple scenarios. I find that my best ideas come after the brainstorming becomes difficult because I’m really stretching myself. Another benefit of brainstorming is that you can combine ideas, adding complexity – even if you go with your original plan. Want: Write what you want, not what you think you should write. You are writing for people who like what you like. So write for yourself and you will be writing for them. Also, when you write what you want you will be more enthusiastic, creative, and persistent. Carry: Keep a voice recorder, a notebook, or note cards to record ideas as they come. Then they’ll be available when you want them. As an added benefit, the act of recording them can generate additional ideas. Ask: Other people love to share ideas for characters or settings. This gives them a chance to be part of the process and gives you a new perspective. Rewrite: When a scene doesn’t work, rewrite it regardless of your time constraints. Better to do it now rather than later. A bad scene or line – or one that just doesn’t “fit” – can mean the difference between acceptance and rejection during the submission process. Posted in Creativity, The Writer, Writing Life.Tagged Cinco de Mayo, craft, journal, journals, motivation, personal philosophy, plotting, Practices, revising, revision, revisions, Scene (drama), self-improvement, Stream of consciousness, the reader, thoughts, voice, writer, writer block, writer motivation, writer philosophy, writer's block, Writers Resources, writing, writing block, writing fear, writing ideas, writing life, writing motivation, writing philosophy, writing style, writing tips.